As we age, so does our skin on the body and face. 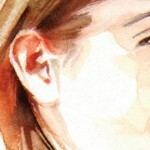 With age the skin starts to fade and wrinkles appear. As time passes by they become deeper. In addition, the skin which used to be tight starts loosening up. The process of skin aging differs from person to person. There are various factors such as, hereditary factors, diet or prolonged exposure to direct sun and pollution that plays a major role in your skin’s aging. Medical advancement and technological innovations made in the past decade have made it easier for both men and women to look younger than their age. 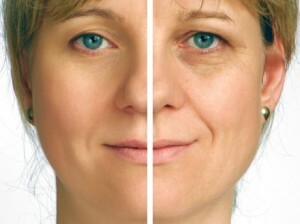 There are numerous treatments, techniques, lotions and potions available that can prevent a facial skin to age faster or delay its aging process. These methods include some surgical procedures that involve the use of tools to making incision and take out excess skin. If surgery is not something you are comfortable with, there are non-surgical methods as well in which facial restructuring and retexturing is achieved using different types of fillers and lasers. Laser has massively been used for over ten years to perk up skin texture. Doctors have long been using lasers for wrinkles elimination, skin tightening and for maintaining healthy skin. 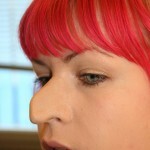 Rhinoplasty is a well-known and widely in demand. 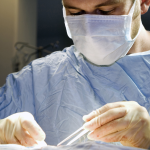 It is a procedure to restructure the nose. Combined with the laser treatment for facial skin, nose surgery becomes even more successful in changing the overall aspect of a person. There are various laser techniques used for wrinkle removal and tightening the skin. One such laser technique is carbon dioxide lasers which is performed for skin resurfacing. The newly invented fractional carbon dioxide lasers infuse high energy to the skin and are very effective even after first sitting. The fractional CO2 laser is more effective to darker skin tone and hard skins like men’s skin, unlike the CO2 lasers that was used in the past decade. Fractional CO2, the non-surgical method is suggested mainly for facial skin rejuvenation. Along with that it is most effective in pore size reduction, acne scar treatment and wrinkle reduction. When fractional CO2 is combined with nose surgery, one can achieve smaller pores and better nasal skin. Furthermore, it helps nasal skin tighten faster after the nose surgery with better nasal appearance. When covered a larger area of the face, with the procedure you can obtain improved overall facial appearance. Cases in which, excessive enlargement of sebaceous glands are observed, fractionated CO2 becomes necessary treatment that complement the rhinoplasty surgery to treat the deformed skin. Before you opt for a nose surgery, it is vital to discuss with a facial plastic surgeon for other non-surgical procedures or facial surgeries that can be performed in combination to improve overall appearance. As always, it is most important to find out a skilled and experienced facial plastic surgeon to achieve maximum results from rhinoplasty surgery.